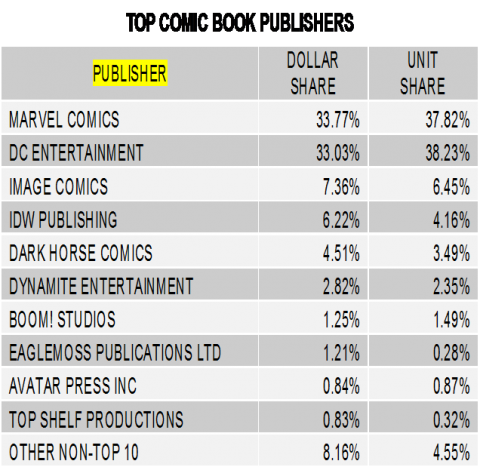 I like the June numbers for the comic book market. Marvel, DC and all the rest split the pie getting 1/3 each of the dollar share (though Marvel and DC still together control 3/4 of the unit share). I’d be afraid to see where Image stood if we took Walking Dead out of the mix! Who said the whole Before Watchmen thing was a bad idea? 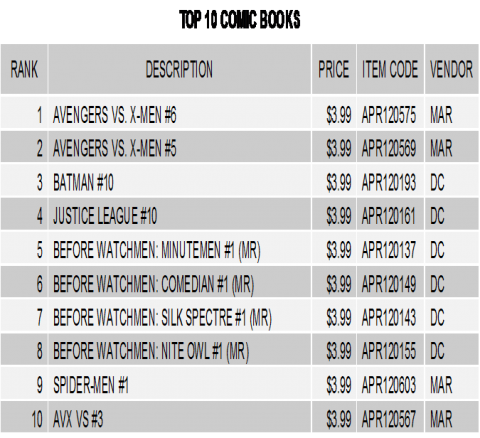 Well the Top 10 comics figures show you just what Alan Moore knows. 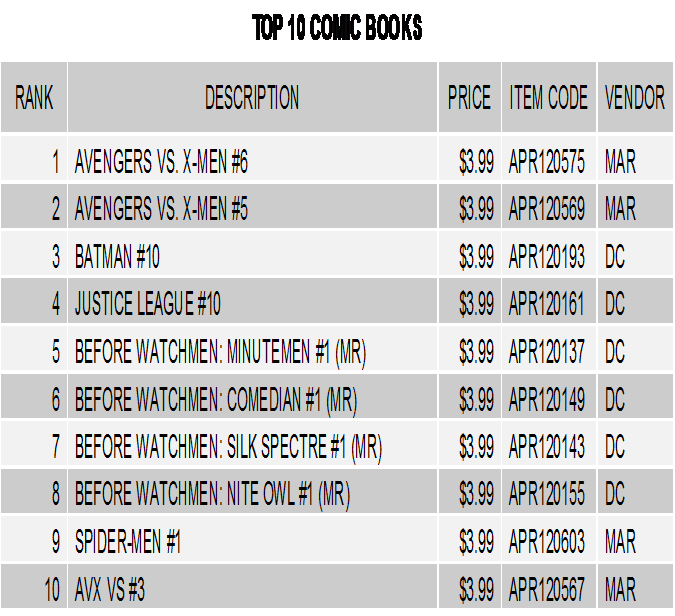 The Top 10 comic book landscape has been so dominated by AVX and DC New 52 that I think its a positive sign seeing people picking up other things of interest. Though I should temper that with the fact that these figures represent Retailer purchases and shops may have ordered heavy with the hope of a hit. We’ll see in July I guess. 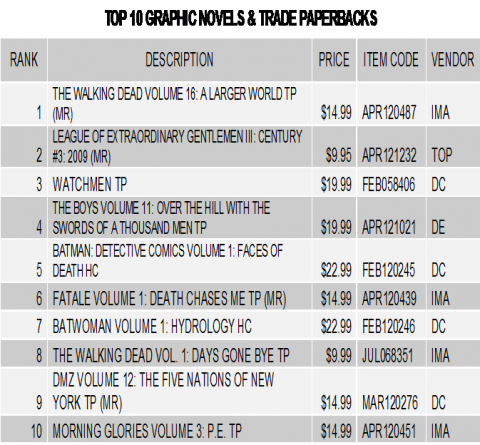 Robert Kirkman’s The Walking Dead Volume 16: A Larger World, the latest collection of the best-selling series from Image Comics was June’s best-selling graphic novel. 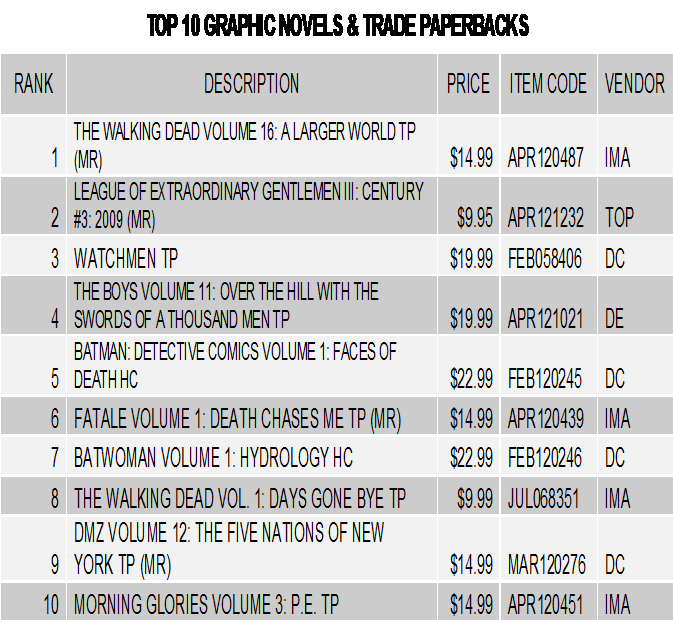 Notice how the Watchmen TP is getting a boost from the Before Watchmen comics! 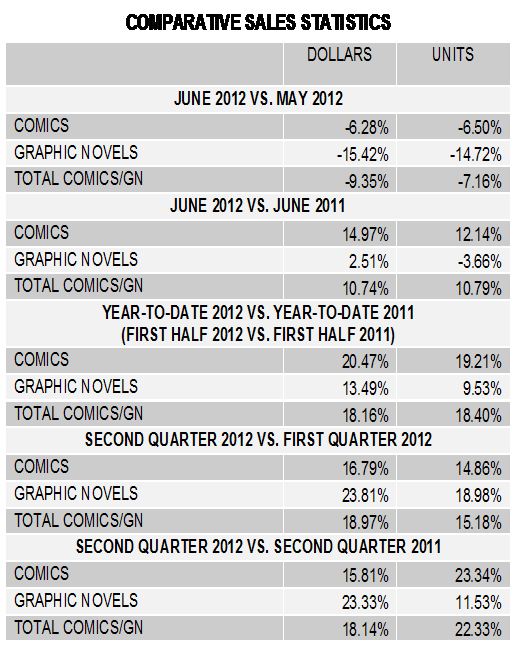 Comics sales for the first half of 2012 showed an increase of 20.47% over the first half of 2011, and graphic novel sales increased by 13.49% in the same period. 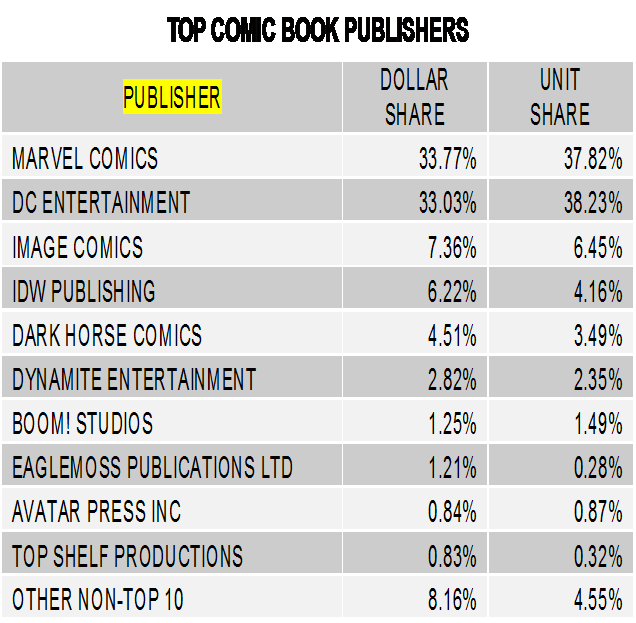 Compared to sales in the first quarter of 2012, comics sales increased by 16.79% and graphic novels by 23.91%, continuing the year’s upward sales trend. Note though that sales of comics and graphic novels fell from the May 2012. Walter – You might have a typo in this sentence, ” Comics sales for the first half of 2012 showed an increase of 20.47% over the first half of 2012″ Did you mean to say “over the first half of 2011”? Doh! you are right Peter thanks. I’ve fixed and updated the post! !